It was such an honor to photograph and attend Samantha and Michael’s wedding at Hueston Woods Lodge and Conference Center! The state park is such a beautiful setting for a wedding and the venue was a perfect fit for their style and wedding vision. 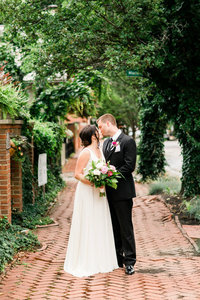 One of my favorite details was that Samantha wore her grandmother’s wedding dress, altered with a vintage 50’s top! Sam and I go way back but we became very close friends once we became college roommates. We supported each other and watched as our relationships with our now husbands blossomed during that time. I remember how her face would light up when she would talk about Michael. They met while working at children’s summer art camp and it was perfect that their passions brought them together. It was always evident from the very beginning that they were made for one another. We dodged some rain throughout the day and hoped for the best when it came time for the outdoor ceremony. A storm was approaching, so a last minute decision was made to pack it up and head inside to the backup location. As the rain started, friends and family rushed to tear down the ceremony space and get it all set back up inside. It was amazing how everyone pitched in to make it happen so quickly for the incredibly deserving couple. After the ceremony, the rain let up and we had the opportunity to head down to the lake for a boat ride. 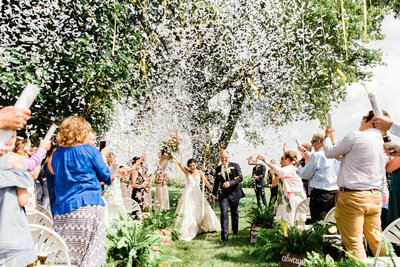 The bridal party popped champagne and began the celebration of the newlyweds! I’m so happy for you, Sam and Michael. It was an honor to capture your wedding day! This day was such an amazing highlight in your lives together and together you can take on the world. I’m excited for you to see all the photos, but for now, here are just a few of my many favorites!